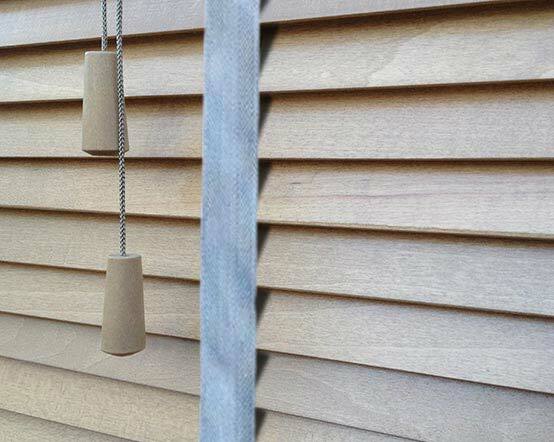 The Sintra Plus Spruce wooden venetian blind has a lovely tawny brown greyish tint to the stained medium brown slat that combines perfectly with the light steel grey colour of these cotton grey tapes. 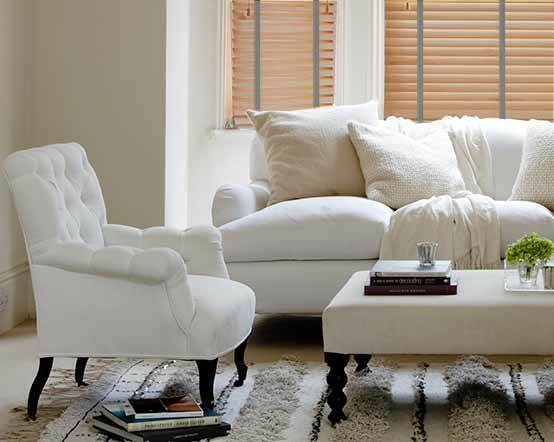 Ideal for accessorising with shades of grey, browns and neutrals in your interior design schemes. Slats: 100% basswood;sourced from sustainable forests. 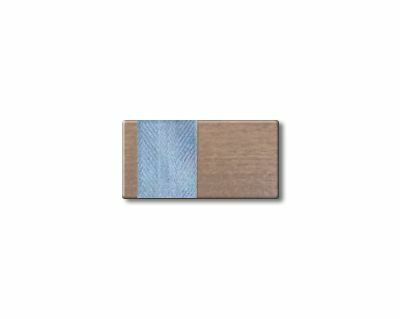 Slat sizes available: 50mm x 3mm / 35mm x 2.5mm / 25mm x 2.5mm. Finish: Stained and laquered; slat ends stained to match. Headrail: Colour matched reinforced PVC. 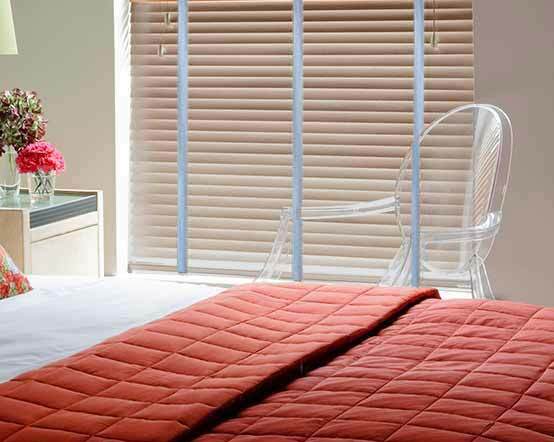 Headrail size: Blinds with 25mm/35mm slats headrail size is 42mm x 42mm; blinds with 50mm/65mm slats headrail size is 42mm x 59mm. Valance - Recess fitting: Matching straight wooden valance. Valance - Exact fitting: Matching wooden valance with mitre cut matching side returns to assemble pelmet if required. Cords: Colour co-ordinated lift and tilt cords. Tapes: 100% cotton; 19mm wide for blinds with 25mm slats; 25mm wide for blinds with 35mm slats; 38mm wide for blinds with 50mm slats. Tassels: Colour matching solid wood tassels. Bottom rail: Colour matching solid wood bottom rail. Blind width for Recess Size: The blind is manufactured exactly 12mm smaller than the given size to give a gap at either side to allow smooth operation. Blind width for Exact Size: The blind is manufactured exactly to the size given. Fittings: Colour-matching universal box brackets; hold down brackets included. 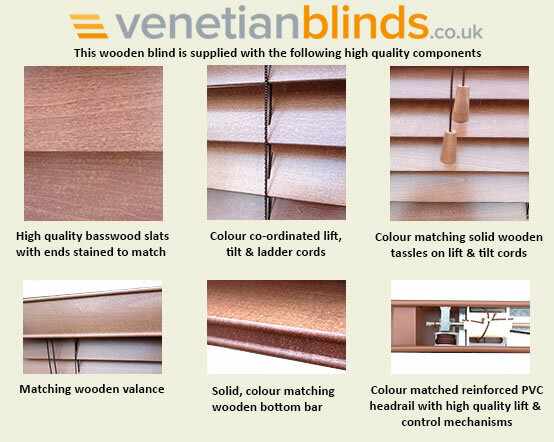 Note about colour: As wooden blinds are a natural product there may be variations in shade and grading. 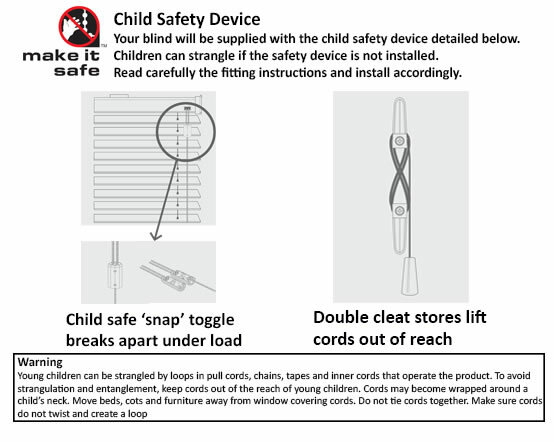 To learn more about the safety of wooden blinds and the BBSA Make it Safe scheme, visit our Child Safety page.